The Wealth of China is well laid out, well organized, and a succinct work for such an expansive topic. 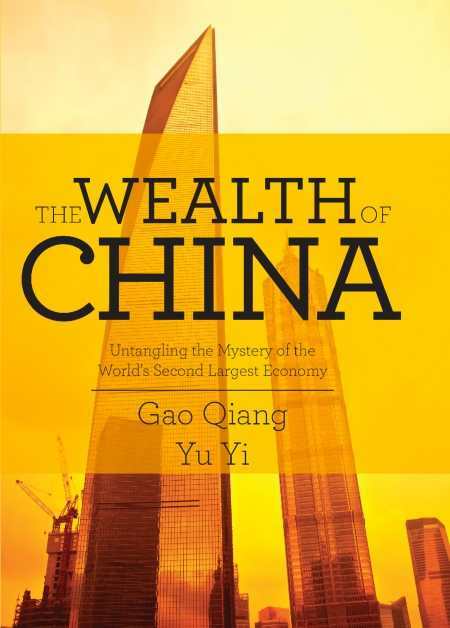 The Wealth of China: Untangling the Mystery of the World’s Second Largest Economy brings Western readers an insider’s examination of China’s stratospheric rise in the global economy. Coauthored by economic commentator Gao Qiang and economist Yu Yi, the book pairs the journalistic skills of Qiang with Yi’s research. Yi, author of Who’s Speculating in China? (2001), specializes in currency trends and long-term shifts in the population. While his research provides the factual backbone for The Wealth of China, the book never becomes inaccessible to even casual readers. Qiang, the deputy chair of the Chinese Society of Financial Journalists, brings together the topics of cultural and economic practices of the country to form a rich picture of how the Chinese economy interacts with daily life. One of the biggest challenges to understanding modern China is context. Yi and Qiang solve this problem early on by juxtaposing the British industrial revolution with that of the the Chinese. By contrasting England’s population during its 18th-century industrial revolution (just over ten million people) to China’s population during its twenty-first century industrial revolution (over one billion), the authors create a sense of scale that becomes a vital touchstone throughout the entire book. This depiction of social anxiety is followed by a quick market snapshot of data released by the Chinese Land Surveying and Planning Institute’s National Urban Land Price Monitoring Group. Those data underscore the connection between peer pressure and skyrocketing housing prices: “The 2009 national average of residential prices is CNY 4474 per square meter, an increase of 25.1 percent, and the highest level since 2001”; the authors explain that when the people endlessly clamored for a “cut” in prices, the data shrank considerably. While there are a few unavoidable data dumps, The Wealth of China is well laid out, well organized, and a succinct work for such an expansive topic. Its thorough indexing provides an excellent guide for further reading.